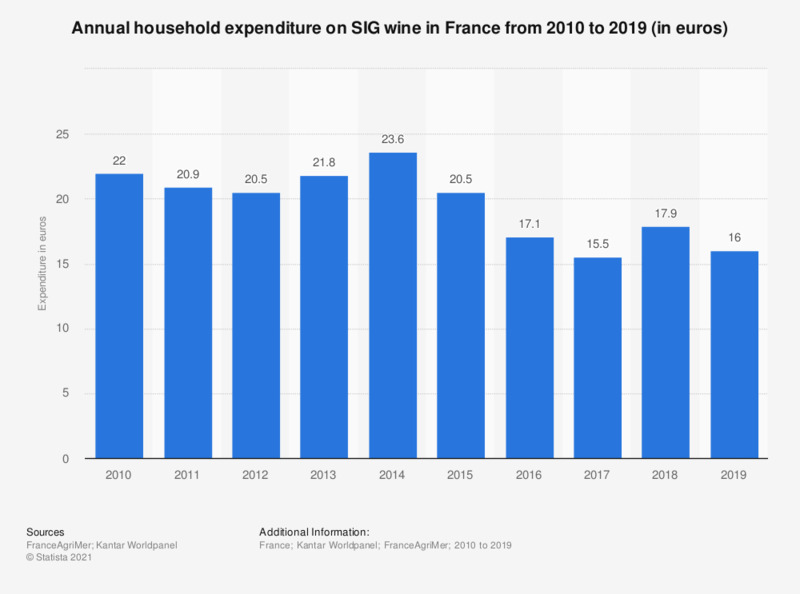 This statistic shows the annual household expenditure on SIG wine in France from 2010 to 2016, in euros. In 2016, the annual household expenditure for table wine was 17.1 euros. SIG (sans indication géographique) wines are wines without geographical indications.